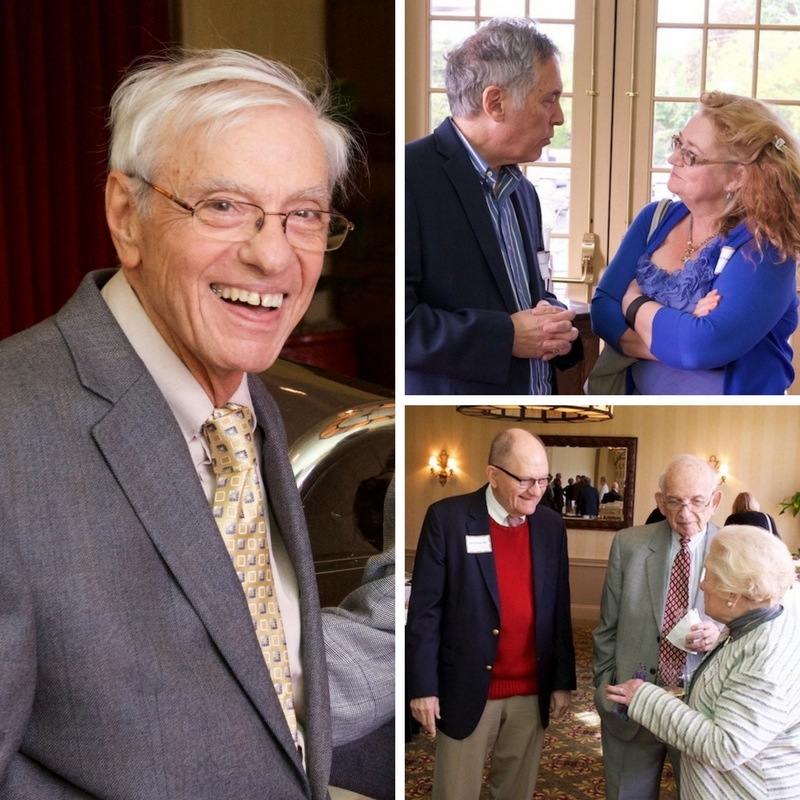 Clockwise from left to right: Dr. Anthony Bartholomew, retired in 2003 with 32 years of service; Dr. Ludmilla Poldneff, retired in 2015 with 27 years of service, talks to Dr. Blaise Congeni; and Dr. John Vollman (in red sweater), retired in 2006 with 30 years of service, talks with Dr. Robert Stone and Rochelle Stone. Dr. Stone retired in February with 55 years of service. Thirteen retired members of our medical staff gathered recently to be recognized for their contributions through the years. 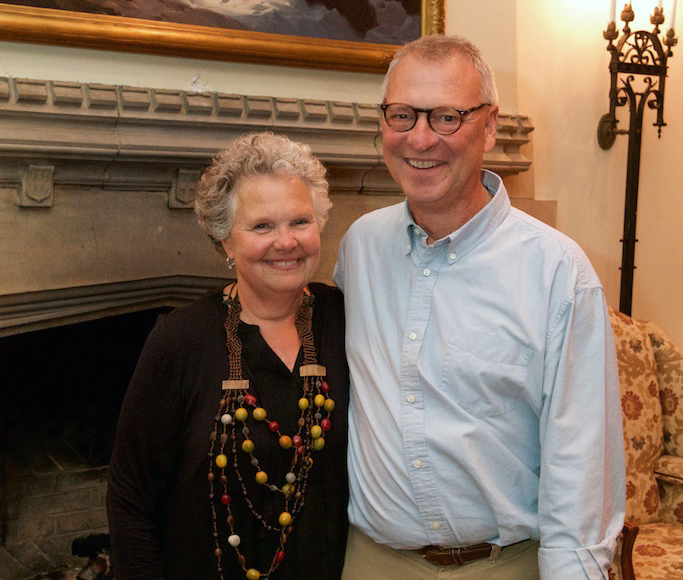 The idea for the celebration was the brainchild of Dr. P. Cooper White, medical staff president, who says the medical staff was looking for an opportunity to recognize some notable retirements that have recently occurred. 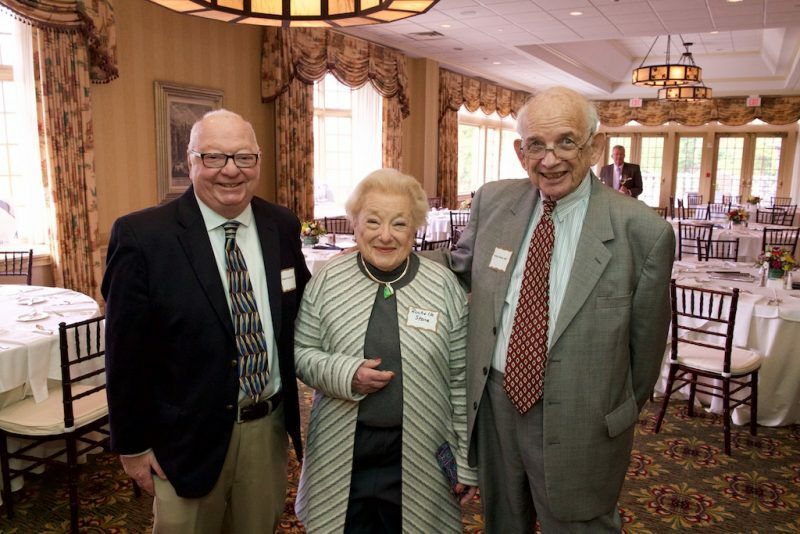 Dr. Bob Gulmi (at left) and Dr. Robert Stone with his wife Rochelle. Dr. Gulmi retired in 2010 after 37 years of service. 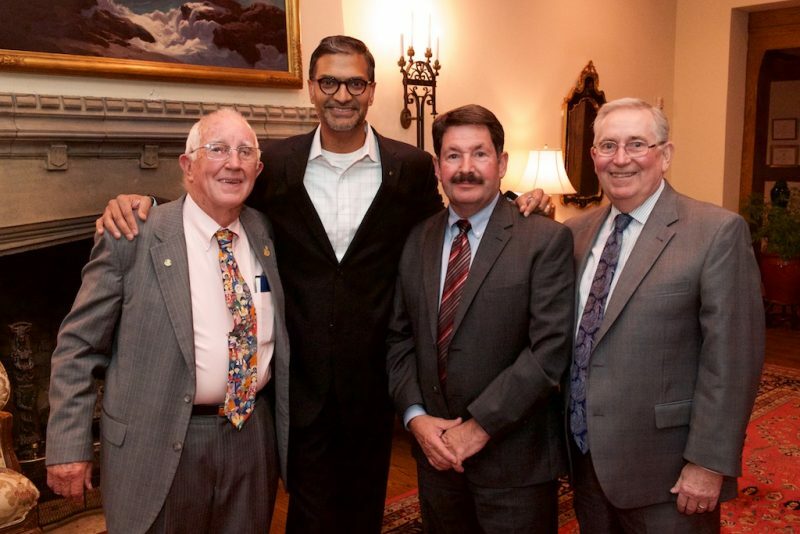 Dr. Ananth Murthy, director of plastic and reconstructive surgery, welcomed the opportunity to catch up with 3 of his mentors, retired plastic surgeons Drs. James Lewis, Michael Parker and James Lehman. Dr. Murthy, who was a medical student and general surgery resident in Akron before relocating to Boston for his fellowship and later to Children’s National Medical Center in Washington, D.C., says the 3 of them are the reason he returned to Akron to set up practice. Dr. Ananth Murthy (second from left), with 3 of his mentors, retired plastic surgeons (left to right) Drs. James Lehman (retired in 2014 with 41 years of service), Michael Parker (retired in March 2017 with 31 years of service) and James Lewis (retired in 2003 with 33 years of service). “I learned a lot from these 3, not just about medicine, but also about practice management and how to treat patients, colleagues and students,” he said. Dr. Lehman says knowing the plastic surgery department was in the more-than-capable hands of Drs. Murthy and Niyant Patel was the reason he was finally able to retire in 2014 after practicing at Akron Children’s for 43 years. “I could retire in a relaxed state knowing the department was in good hands,” he said. For Dr. Lehman, retirement hasn’t slowed down the avid downhill skier and world traveler. He is very active in the Rotary and regularly does global health work in South America, including performing surgeries. Retired pediatrician Dr. Ellen Kempf has also kept busy with humanitarian work through our Office of Pediatric Global Health, most recently caring for a 2-year-old Haitian girl with a heart defect. Drs. Jeff and Ellen Kempf. Ellen retired in 2014 after 24 years of service. 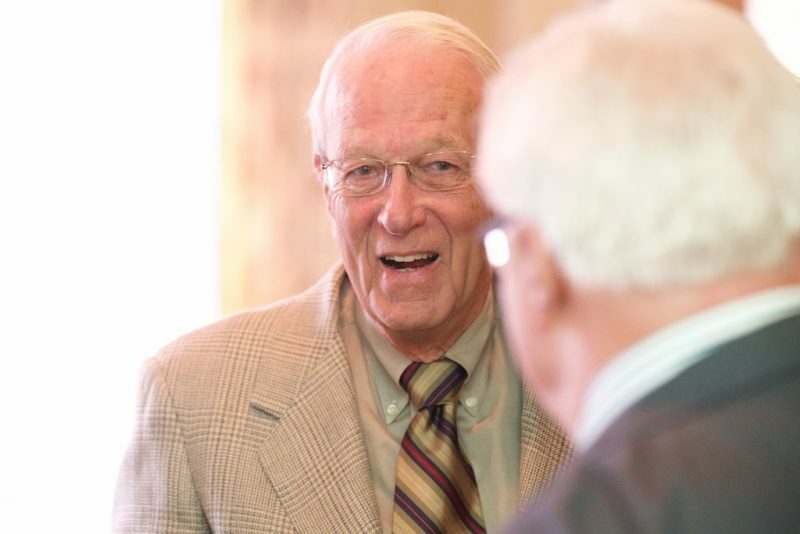 “If we tallied the years of service of the physicians in the room, the number would be huge,” said Dr. White, who hopes to see the event became a biannual celebration. Dr. Chris Van Devere, former division director of psychiatry who retired in 2003, and who helped design the original behavioral health unit, reminisced about visiting the hospital a few years ago. Dr. Chris Van Devere retired in 2003 after 30 years of service. Dr. Van Devere, who spends winters in Florida, has enjoyed devoting his time to hobbies like fly fishing, playing banjo and golfing in his retirement.